To take advantage of the performance benefits offered by a modern graphics processing unit (GPU), certain Image Processing Toolbox™ functions can perform image processing operations on a GPU. 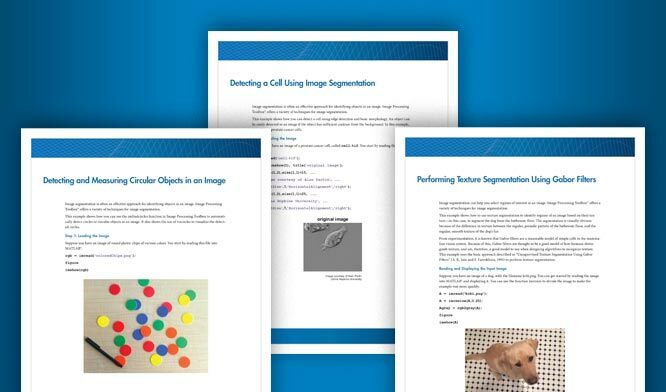 These functions provide GPU acceleration for complicated image processing workflows. Take advantage of graphics processing unit (GPU) acceleration for complicated image processing workflows. This example shows how to perform image processing operations on a GPU. This example shows how to perform element-wise, or pixel-based, operations on a GPU by using functions that send both the data and operations to the GPU for processing. If you have a Parallel Computing Toolbox™ license, you can take advantage of multiple processor cores on your machine to improve the performance of blockproc. See the list of toolbox functions that support GPU computing.